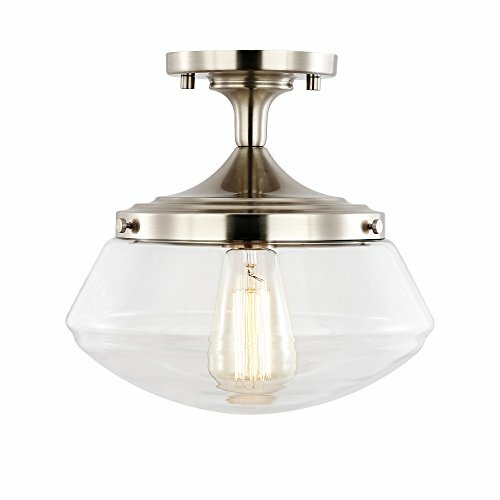 Complete the décor collection of a vintage-inspired space with the Crenshaw Ceiling Light. Borrowing from an iconic design dating back to the 1960s, its classic look delivers a fresh ambiance. Enjoy the intriguing effect of an irregularly shaped clear glass shade and a curvy iron base and ceiling mount. Select from finishes tailored to complement a custom design scheme. This charming light adapts to sloped ceilings, and offers energy-saving LED lighting.